I wrote this article for this week’s newsletter (Trinity This Week). We hosted a Diversity Committee Chat last week, and I was asked by our Head of School to write an article about it. From a technical standpoint, I created this graphic using Photoshop. I sent a long, blank text message to myself on my iPhone to get the iMessage bubbles. The format of last week’s Diversity Committee Chat proved to be very successful and provided interesting conversations around the topic of diversity. Parents, faculty, and staff members attended as usual, but our students’ voices were also heard, which gave fascinating insight into what some of them are thinking. What are the kinds of diversity that make people uncomfortable? Is there anything at Trinity that we can help with here and help the community? How has Trinity School helped you to grow and accept people who are different from you? While the students themselves were not in attendance, hearing their thoughts facilitated deep, meaningful discussion among adults in the community. One notion that arose was the importance of giving children the tools to be understanding and empathetic to those who are different. We recognize that children certainly notice differences—especially physical ones—and while it seems natural to say, “Don’t stare,” it’s more important to have conversations about those differences and discuss why it’s impolite to stare. One parent, for example, shared a recent experience with her daughter who noticed another child’s physical difference. After discussing why she found that difference fascinating, they had a conversation about a similar experience when her own child was the focus of stares and how it made her feel. Her daughter learned a great lesson that day, not only about diversity, but also about empathy. 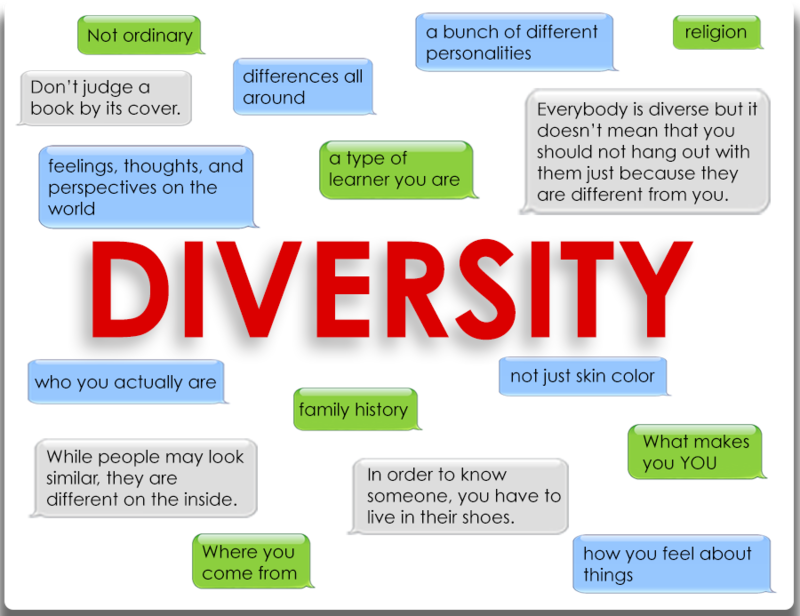 Naturally, the word “diversity” leads many of us to immediately think of race and/or ethnicity, but as is evident by the thoughts of our students (below), it extends far beyond that. What does diversity mean to you? “Like” Trinity School on Facebook and join the conversation! Students’ answers to the other three questions will be posted during the next few weeks on our Facebook page. Stay tuned!